We have been providing high level technical work to dentists from all over the UK since 1988 and, during this time, we have had the pleasure of creating beautiful work that has changed many patients' lives. To help clinicians get the most from our services, we also offer training in getting the most from CADCAM, implant treatment planning, shade taking and photography. The benefits of having true consistency with the manufacturing process has helped us grow our business, where consistency of products is paramount to the development of a long standing relationship with our clients. The accuracy and simplicity that the dentist gains from digital impressions is certainly worth pursuing. It is in both the patients’ interest, with its clean and quick process, as well as creating more opportunity for the dentist, with an increasing range of products available. 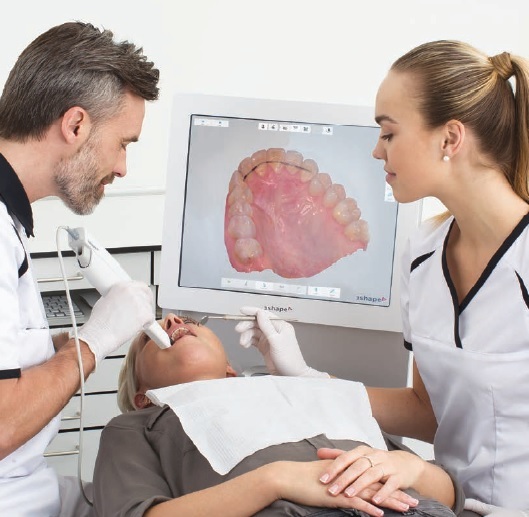 Patients are now actively seeking out dentists with Intra oral scanners; we receive regular phone calls asking for directions to the nearest digital dentist as this exciting technology develops. Digital impressions also allow us the ability to show the dentist in real time when there are any issues with the impression, whether they are un-readable margins or we require more space for specific restorations. This was never possible with analogue, as it was at least a day before the models were ready to review. This rapid action is very welcome for the dentist and patient, as the speed with which we can respond to this means not inconveniencing the patient further, as the scan can very quickly be retaken whilst they are still in the practice. 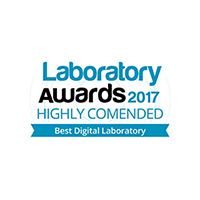 With a digital impression system, you can be as far away from the lab in the UK as it is possible to get and still receive an accurate quality service through Stephen Green Dental Studio. 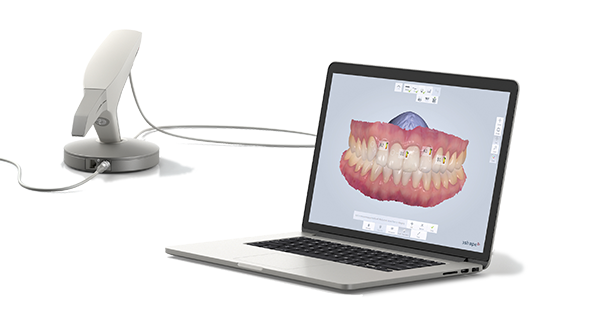 Digital Smile Design technology is perhaps the most exciting area of development with us at present, with recent improvements to the software we are now able to create a virtual image for the patient to review without having to commit to any invasive preparation work. Once designed in the lab and presented to the dentist, the patient will see their new virtual smile and be able to decide if they wish to proceed. This is quite an emotional event for the patient! This journey for the patient and the predictability for the dentist is bought about through the utilisation of digital technology at Stephen Green Dental Studio in order to create this new smile for your patient. All this can be done by either an analogue or digital impression and a short video emailed to us. This is all we need to go ahead and be creative! We design and manufacture all our dental crown and bridge work in-house and mill in high strength, translucent ceramics to full contour with a thin ceramic veneer for aesthetics, or, monolithic glass ceramics. However we do still offer metal bonded crowns for the traditionalists! We have also found, as a communication tool, digital design is very useful in discussions with clients, particularly if we want to review a specific case where we may suggest one type of design over another, we can show this in 3D format as a virtual case before we commit to manufacture, should there be any further concerns we can manufacture or mill in PMMA (a type of acrylic) and send the work for a 'Prototype' try-in, giving the dentist and patient the opportunity to review in situ this 'Prototype' of the final outcome. This has been very successful in reducing unnecessary adjustments and has been very popular with our clients. We do not charge for this service, as it saves on remakes due to planning and review in the mouth. These items need to returned to lab and are not a temporary material. Designed to a reduced contour, Incisal layering allows us to create the most aesthetic of restorations with multiple layers of colour and translucency, giving great natural results using state of the art all ceramic blocks and discs and milled in-house. 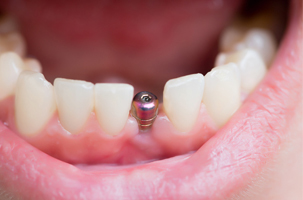 We then layer by hand creating bespoke, biocompatible crowns that are high strength and metal free. The iDesign technique range of restorations allows us to create full contour crowns and bridges which exhibit exceptional strength combined with high aesthetics, milled to full contour from multilayer ceramic discs and blocks. A range of simple designed basic monolithic materials, milled and finished to provide a low cost entry to metal free restiorations. The metal frameworks on these restorations are milled with layering of the porcelain added as per the traditional manner. 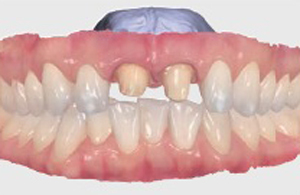 This range is ideal for patients who have existing bonded crowns and require an accurate match. 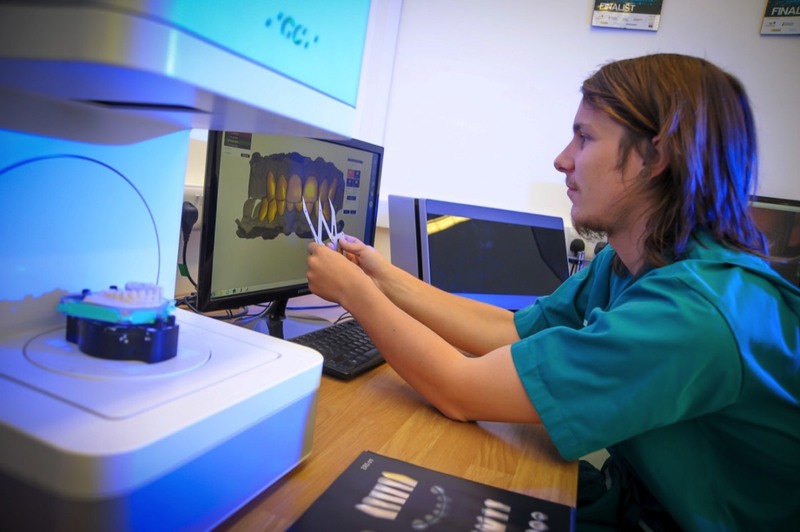 For Gold shell crowns, inlay, onlays and metal post and cores at Stephen Green Dental Studio, we use Skillbond Argen Digital or Renishaw Dental to deliver metal solutions through the digital workflow, with a range of precious and non-precious alloys. After our CADCAM design is approved, we upload our .STL files to be processed by Laser melting or laser printing technology and receive an extremely accurate restoration in a variety of different alloys. Available Gold alloys so far are 60%, 40%, 20% & 10%. Each restoration has an internal identification mark. Also available for bonded restorations and low cost Full crowns is a Bio-inert chrome cobalt. At Stephen Green Dental Studio we can work with all types of implant systems available today. We manufacture using digital technology to generate a scan of the case once the model has been cast, then we design the restoration. Often we mill the design as a PMMA Prototype for a verification try-in, this manufacturing technique works particularly well with implant cases as the value to the patient is high and being predictable is paramount, for many implant cases we use titanium inserts or ti-bases. These are available for most implant systems. For implants placed at a difficult angle we can use Dynamic Solutions Angled Screw Channel (ASC) ti-bases for correcting angles up to 30 degrees. This makes most of our work screw retainable and more importantly, retrievable! For Titanium and Zirconia abutments and Bars or Beams we will design and then export this design to a range of external milling centres as the high level of accuracy when milling metal is critical and requires the best industrial machinery. Materials are being improved all the time now for digital manufacture, recent advances with translucent Zirconias and super polymers such as PEEK and PEKK allow us to design full arch cases using our latest software to create monolithic restorations that are accurate in occlusion due to the virtual articulation and strong because of the monolithic style of design. The increasing range of new aesthetic materials ensure no compromise with quality. 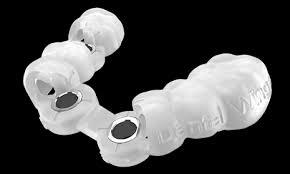 A properly planned and fabricated prosthesis is a team effort involving experienced technicians and dentists. 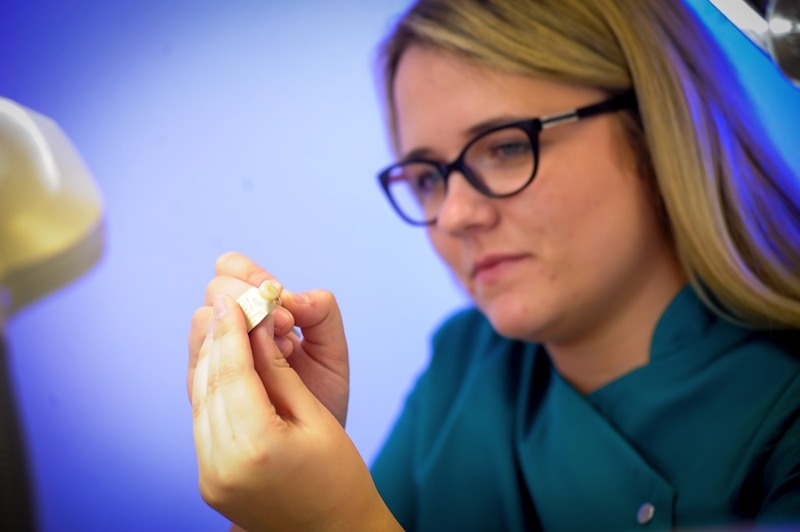 The more clinical experience the dentist has in general, and with implant dentistry specifically, the better they are able to provide a variety of treatment options to the patient and to advise on the best of these options. 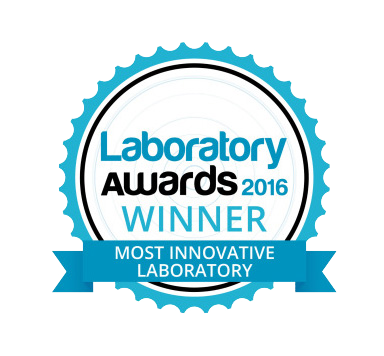 Also, the more experience the lab has in dentistry, and with implant dentistry specifically, the better we are able to provide options to the dentist and better able to recommend the best solution. We try to keep these suggested options as simple as possible. Guided stent manufacture is a precise solution through digital dentistry. Planning for guided surgery is all about finding the optimal implant position to achieve good, consistent and aesthetically-driven results. It leads to greater communication and reliable treatment, utilising digital technology for a more streamlined workflow, reducing patient visits and creating more value to the patient by minimising the length of time they are without teeth. At Stephen Green Dental Studio, we can offer guided stent manufacture and the production of a temporary restoration for fitting on the day of surgery through the following systems: Nobel Clinician, Straumann CARES and Blue Sky Bio. 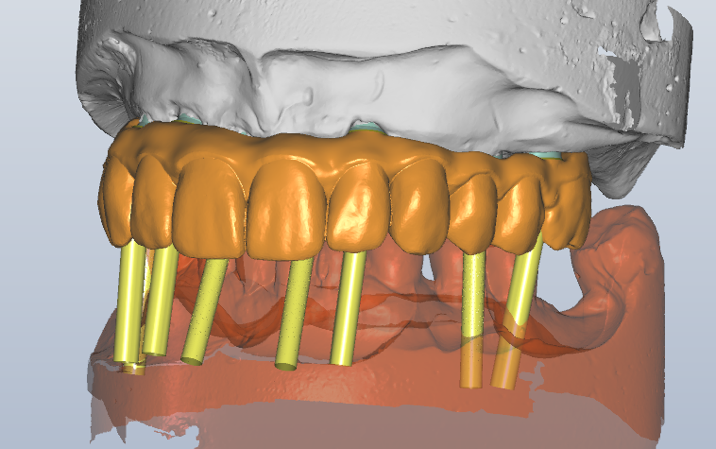 In the same way that we have taken an innovative view of production with crown and bridge work, we also aim to be innovative with dentures and so use the revolutionary denture system iDenture by Ivoclar Vivadent, which incorporates the BPS - Biofunctional Prosthetics System. The wide range of high quality teeth available, and the precision polymerisation of the processing, mean an exceptional result every time. We are committed to helping you provide your patients with quality, aesthetic and predictable restorative solutions for removable dentistry. 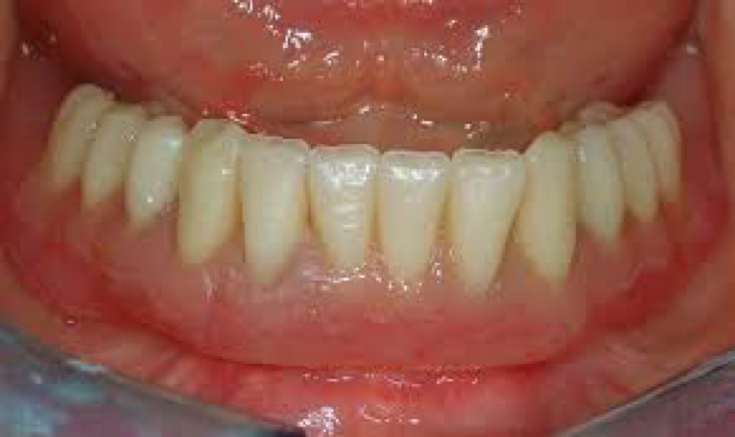 At Stephen Green Dental Studio, we find dentists are prescribing Valplast® Flexible Partials because they make stronger appliances in many situations where conventional dentures lack retention. The strong, flexible nature of Valplast simplifies design and enables the flexible nylon resin to act as retention and a built in stress-breaker in order to provide function and stress distribution in a removable partial denture. 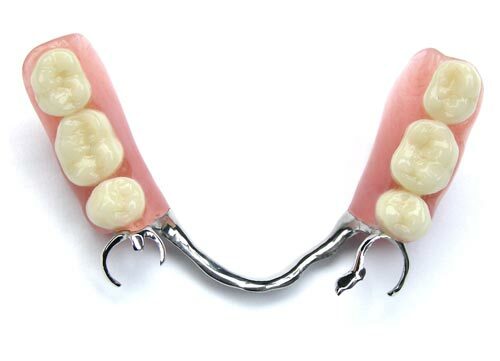 If we see a case in the lab where we think this will best provide the patient with more improved retention than a conventional denture, we will contact you and suggest it. Further, if you are sure this is the restoration of choice for your patient, please request it on the lab prescription. Stephen Green Dental Studio only uses original Valplast material. With Chrome framework production we use both analogue and digital means of manufacture, our technician for chrome has many years experience in design which we utilise when following a traditional route, however more and more work is being designed on CADCAM and laser printed by Infinident and Renishaw Dental. Laser printing or Additive Manufacturing systems are designed and built to fulfil a range of applications where durability and precision are key. This advanced technology will one day replace cast chrome frameworks. We are able to offer a bespoke shade taking service in the lab and welcome patients visiting the lab to watch their restoration being created. 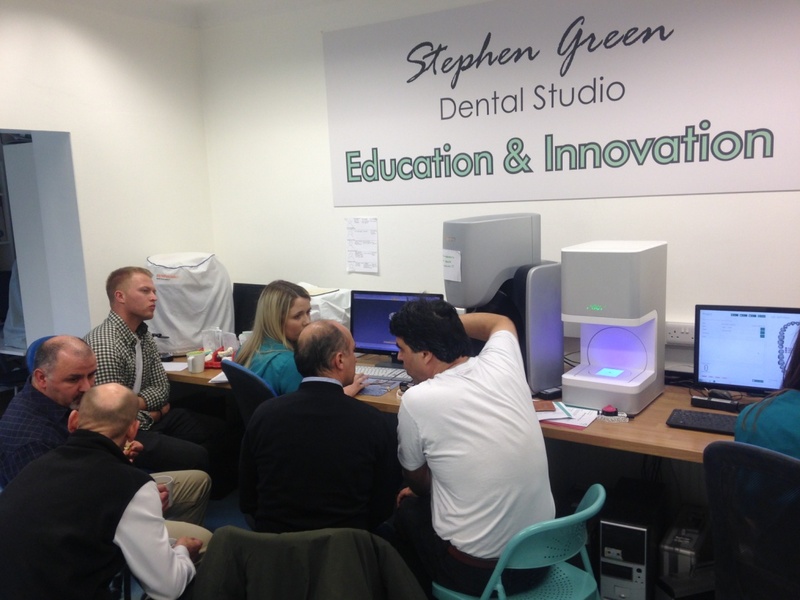 As we consider Stephen Green Dental Studio to be an educational environment, and have a wide range of knowledge on the digital side of dentistry, we have set up a training programme that works on all the main digital lab manufacturing systems, Sirona InLab, Exocad and 3Shape, to give 1-to-1 training to technicians. Whether you are looking at your first purchase, or require updates to your current level of knowledge, SGDS are also certified Sirona InLab trainers. 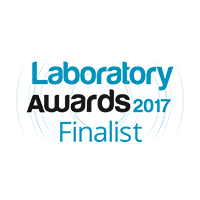 All this takes place in our lab in Nottingham. 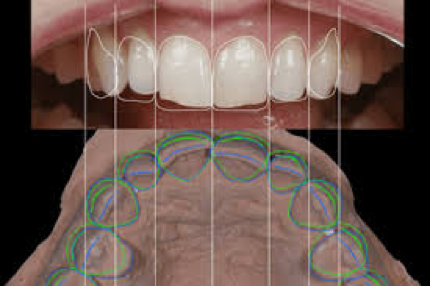 We also train dentists with digital impression scanning, something we do due to the regular receipt of this type of impression and the use of these systems. All main manufacturers are covered, Sirona, 3Shape, Carestream and Planmeca. If you have a system not listed, or would like some advice, please contact us so we can help. DAMAS is audited through an independent third party. At Stephen Green Dental Studio we are DAMAS accredited. 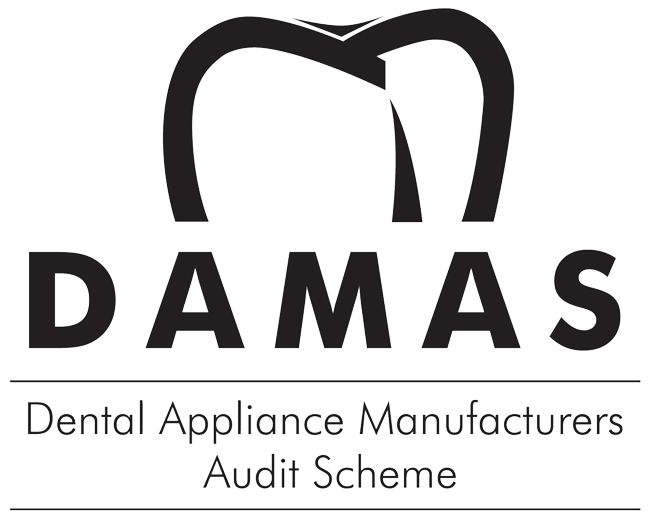 DAMAS is the ‘Dental Appliance Manufacturers Audit Scheme’. It is a quality management system designed specifically for the manufacturers of custom-made dental appliances. DAMAS provides a framework for an effective quality management system which enables us to prove to our clients that we are operating within the law (Medical Devices Regulations MDR). At Stephen Green Dental Studio we offer dentists with an Intra Oral scanner and in-house milling a bespoke design service. This enables you to prep, scan and connect with us through TeamViewer, which allows our technicians to access your design software and design the restoration on your system for you to mill. 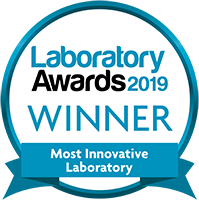 This is both time saving and cost effective and has the benefit of providing the patient with lab designed work on the same day, milled in your own practice. This service will help dentists who have their own impression scanner and milling facility in-house. Stephen Green Dental Studio can send an experienced Technician to design in your practice, on your system and create a restoration for you. It is designed milled and finished in house saving you time and helping to create a more efficient workflow for your patients. This is useful on larger cases in order to create a one day treatment plan; it does of course cost more as the technician’s time for work and travel need to be applied to the cost of the restorations. Call for more detail.